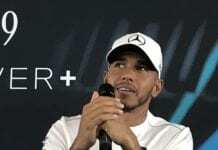 With their strong qualifying pace and Nico Rosberg’s race result at the Chinese Grand Prix, it is clear that the Mercedes Benz AMG F1 team is gunning for glory. But how exactly have they made an improvement? One trick up their sleeve is their unique drag reduction system (DRS) setup. I’ve heard it being called an F-duct, but I thought these were banned? When it became clear Mercedes were running something similar to what McLaren came up with in 2010, it got the paddock talking. The F-duct principle was quite simple. At speed, air flowed through a complex set of piping in the airbox above the drivers head. It would then be redirected to the rear wing using either a pedal or the driver’s hand. The airflow, under low pressure in the piping, would travel from the airbox to the surface of the rear wings. Here it would accelerate and ‘blow’ over the surface of the rear wing. It was this ‘blowing’ effect that caused oncoming airflow to detach from the wings surface, causing a reduction in downforce, but more importantly, a reduction in drag. This gave the car a higher top speed and better acceleration. The key here is how the driver interacts – a pedal or the use of the drivers’ hand. This is actually what was banned by the technical regulations, not the principles of F-ducts themselves. Connecting the engine cover to the rear wing was also banned to try and deter these as well. Therefore, if an F-duct could work without the driver doing anything, this would be considered legal under the wording of the technical regulations. I seem to remember Mercedes talking about this last season? Is this the same thing? Indeed, Mercedes have been trialling this as early as the Japanese Grand Prix of 2011 with their ‘passive’ F-duct concept. This solution originally relied on air being blown into the small opening at the front of the nose which nearly all cars have for driver cooling. A complex set of piping would then redirect the airflow at certain pressures to slots in the front-wing to create the ‘blowing’ effect on the front wing elements. This, ultimately, was dropped for being too unpredictable; also, a clarification in the regulations stated this aperture could only be used for driver cooling. Mercedes also looked at some suspension-assisted activation, but this was also ruled out by the FIA. So how does their current version work? Their current version is clever because of its simplicity, particularly when you compare it to the complex engine maps and exhaust blown diffusers that have been used over the last few seasons. The current system relies purely on the DRS rear wing. The DRS system allows the top element of the rear wing to open by 50mm at any point in practice or qualifying, and at certain defined points in the race. What Mercedes have done is created a cover plate on either side of the element. When the element moves up, it reveals a specially designed aperture on either side. Airflow is captured into this aperture by curvatures designed into the rear wing as well as by openings in the cover plate. Thus, when open, airflow is redirected. The redirected air then flows down the endplates of the rear wing, along the width of the beam wing (the lower part of the rear wing that attaches to the crash structure) and into the opening at the rear of the engine cover. The pipes then travel either side of the engine, gearbox and other major components, along either side of the cockpit area to the front of the car. With the nose removed, two pipes are clearly visible. The pipe work then continues into the nose section, down the pillars of the front wing, along the mainplane of the front wing and into specially designed slots on the under-side of the front wing. This is just in front of the slot gap between the front wing elements. Because the pipe work is at a lower pressure to the air outside – like the original F-duct – the airflow accelerates until it exits the underside of the front wing. The blowing effect causes the airflow from the slot gap to become detached from the underside of the front wing, causing a reduction in downforce and drag – just like the original F-duct concept, but on the front wing instead of the rear. What are other benefits and downsides? 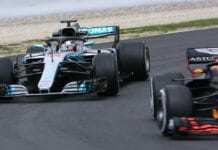 The other positive side-effect to the reduction in drag is that Mercedes end up with a better balanced car, aerodynamically-speakign, when deploying DRS. The problem other teams have, when DRS is being used (especially on high speed corners in quali) is that the car ends up with an aerodynamic imbalance – the rear is ‘lighter’ than the front of the car. All this causes the front of the car to be much more sensitive on turn-in and the rear of the car to slide more, causing rear tyre wear. With the front downforce reduced like the rear, this can reduce this imbalance in aerodynamic performance. The downside is that this has very little impact in race trim, due to the limited nature of the DRS rear wing in the race. Also, it encourages Mercedes to run the car with a longer 7th gear than others. 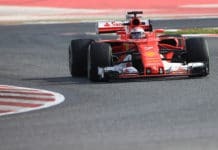 Ultimately, Mercedes have looked at Vettel’s performance in 2011 and seen that if a driver qualifies well and gets out of the DRS “1 second zone” as quickly as possible at the start of the race, he has a very realistic chance of winning it. This seemed to pay off in China, so who knows how far they can go, tyre degradation aside! Why are teams protesting this? The main argument for this system being illegal comes down to how the system is activated. Because the system is activated when the driver manually activates the DRS rear wing, it is therefore a driver activated system and illegal under the regulations. 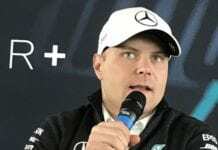 Mercedes argue, quite correctly, that the system is not driver activated but merely a consequence of the DRS system, making it a passive system. Both arguments have merits, and with Christian Horner requesting a clarification in Malaysia and Lotus GP lodging an official protest in China, this may go on for a while. Will other teams be able to copy this like the F-duct in 2010? As with McLarens F-duct in 2010, it will be possible. This time, however, it will be much more complex and time consuming. This is because Mercedes have integrated the pipe work and other parts directly into their chassis. The other teams are trying to work around this, requiring some ingenuity on their part! In addition to the pipe work integration into the chassis, a new front wing, nose, rear beam wing, rear wing endplates and rear wing assembly would have to be designed. Consequently, it certainly won’t be easy, or cheap, to get a similar system in place. Nürburgring 24 Hours race this coming weekend!